I’ve always considered chocolate mousse one of those ultra fancy desserts that I only eat at restaurants on special occasions. That’s what I always thought, until I made it at home! Making chocolate mousse isn’t difficult, but it does take a few steps. It is totally doable for the at home cook! I’m already planning the next time I’ll make this mousse. 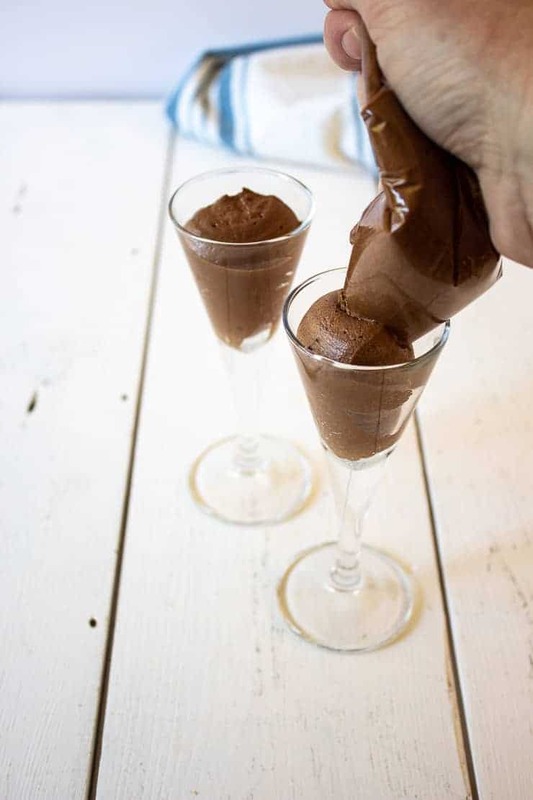 Chocolate mousse is a sweet chocolate dessert that is light an airy. It gets its light texture from whipped cream and whipped eggs whites. Mousse is lighter and fluffier than pudding. Pudding is usually cooked to thicken the pudding mixture. 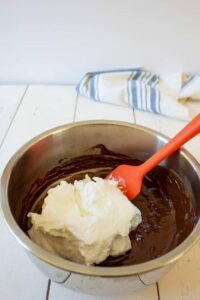 Mousse is thickened from whipping the cream and egg whites and then folding into the melted chocolate. What ingredients are used to make chocolate mousse? The ingredients are simple, but very decadent! Bittersweet chocolate is a lightly sweetened chocolate. It is usually darker and less sweet than semisweet chocolate. This chocolate mousse is not cooked. 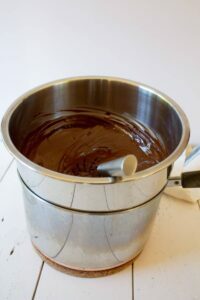 The chocolate is melted over a double boiler and then it is mixed with the other ingredients. 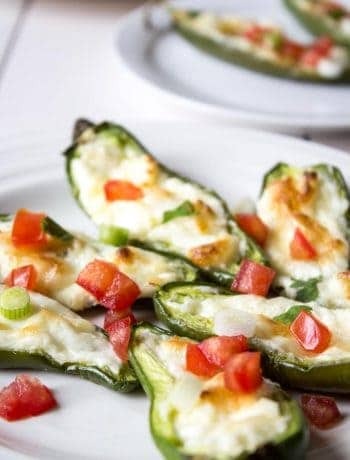 This recipe does use uncooked egg whites. I use eggs from chickens we raise. 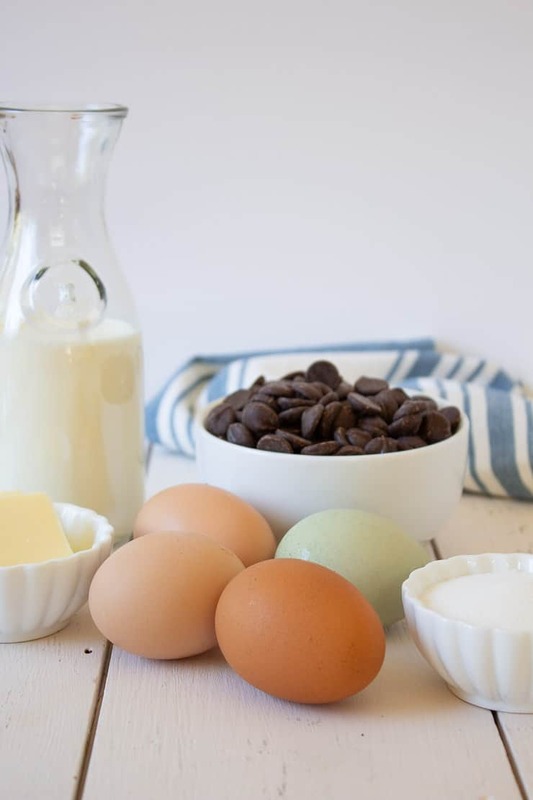 If you are concerned about using raw egg whites, pasteurized eggs can be used. How do you fold egg whites into mixture? This recipe needs you to fold egg whites and whipped cream into chocolate. This folding mixture helps preserve all the light fluffiness you’ve whipped into the egg whites and cream. If you were to whisk or stir the mixture, you would lose all that great fluffiness. To fold you need a large, firm spatula. Place spatula in the center, push down to the bottom and pull spatula along the bottom and up the side pulling up mixture onto the top. Rotate bowl a quarter of a turn and repeat. After a full rotation around bowl, swipe spatula around the bowl. Continue until fully mixed. Folding takes a bit of patience, but don’t give up before it is fully combined. You shouldn’t see any white streaks or speaks when fully combined. 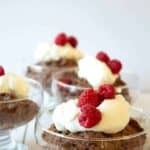 How should I serve chocolate mousse? My favorite method is to serve in small cordial glasses. 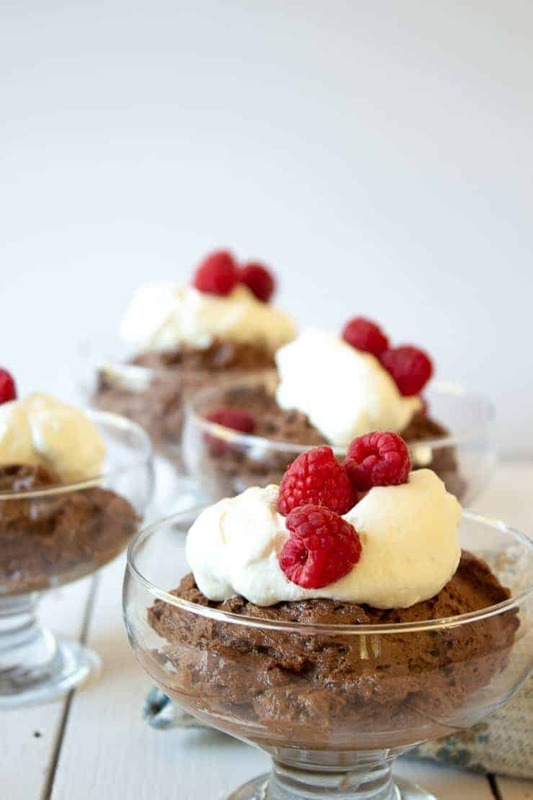 This chocolate mousse is rich and for me a smaller serving is better. Plus I think they look fancier served in small portions. If you like larger portions you could also use these pudding glasses. 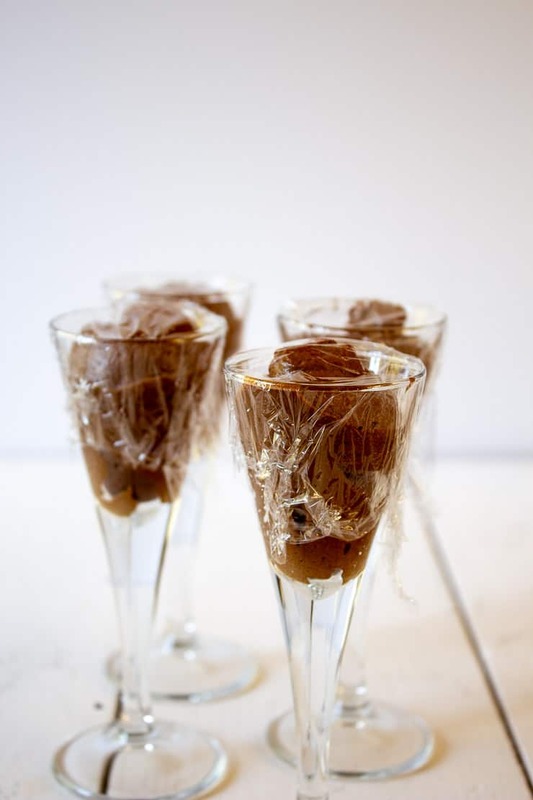 How do you get the mousse into those tiny glasses? I put the mousse into a plastic zip top bag and snipped off a corner. I then pipped the mousse into the glasses. This was easy peasy and almost no mess! How do I prepare ahead of time? Once mixed you can portion into individual containers or cover and refrigerate for later. I like to place portion into serving dishes, cover and refrigerate. When ready to serve I remove from fridge about 15 minutes prior to serving. I then top with fresh raspberries and whipped cream. How should I garnish chocolate mousse? Mix in butter with one tablespoon at a time. Mix with a whisk until butter is completely combined. Put egg whites in a bowl. Mix with a mixer at high speed until egg whites form soft peaks. With mixer running, slowing add sugar while mixing. If you add sugar too fast, your egg whites could deflate. Put heavy cream in a different bowl. Mix with a mixer at high speed until soft peaks are formed. Add 1/3 of the egg whites into the chocolate mixture. 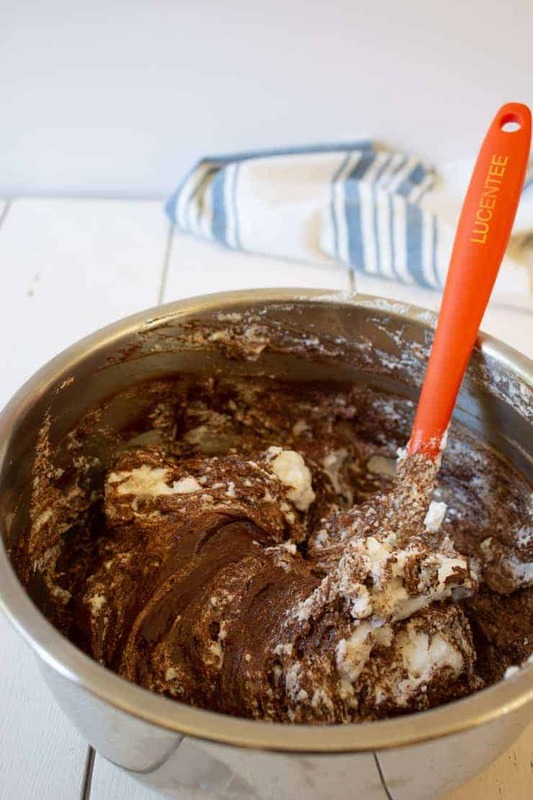 Use a large spatula and fold egg whites into chocolate. Do not stir mixture or egg whites will deflate. Add remaining egg whites and continue folding until no white remains. Add whipped cream and fold gently until mousse does not show any white streaks and is one consistent color. Place into individual serving dishes and serve or cover and refrigerate. If serving later, put into individual serving dishes and cover each dish with plastic wrap before refrigerating. Garnish before serving with whipped cream and fresh berries. This is everything I’m craving today, smooth, creamy, decadent and lucious! Yum! Take care. Some days we just have to have something a little decadent! A favorite dessert at our house for sure Kathy! So rich and decadent and such a treat! Delicious! I think I’m going to be eating this a whole lot now that I can make it at home! I’ve always wanted to make it but never did because, like you, I thought it was too fancy and difficult! Thank you for showing it is doable and with such a delicious result!! 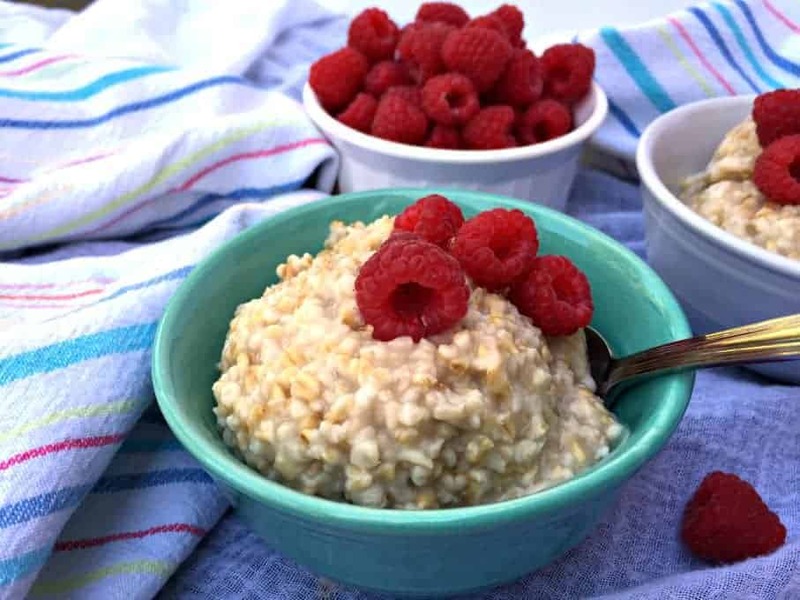 This really can be made at home – give it a try! The results are so tasty!!! So fluffy and delicious! 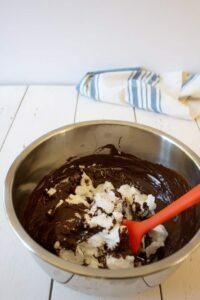 Chocolate mousse is one of those famous recipes (like scones, burritos, osso bucco or cordon bleu) that I have never made yet although I have been meaning to do so for years. Your recipe is so simple and nice. 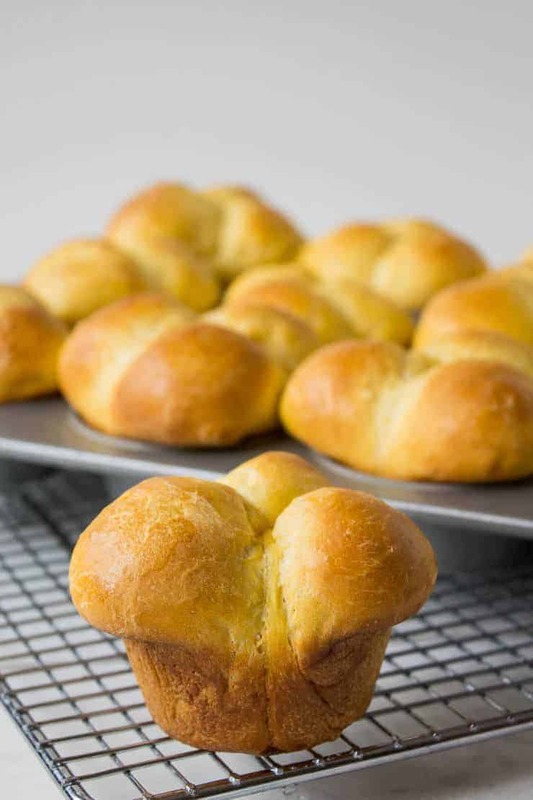 This is an easy one to tackle with delicious results! Kathy, totally drooling over this chocolate mousse! It looks so light and heavenly! 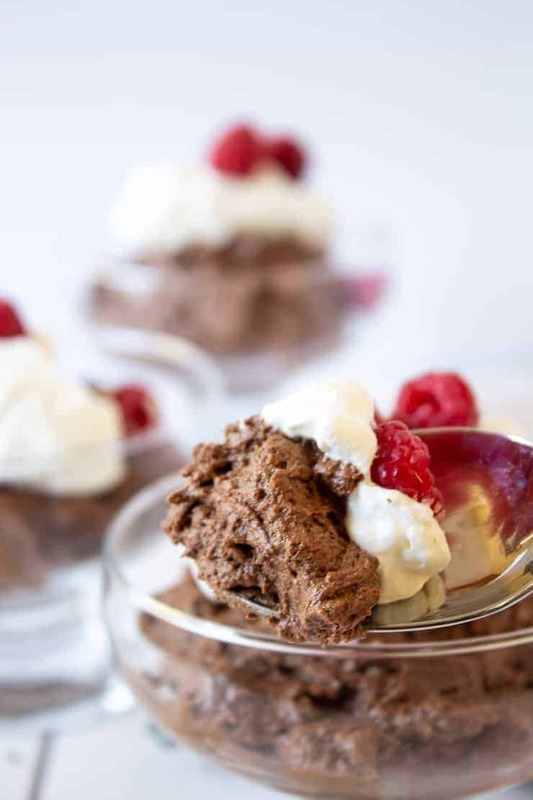 You are totally right that chocolate mousse is one of those fancy desserts that makes everyone go “oooo”! But it really is a simple recipe to make. I need to try out your recipe ASAP as it looks so light and creamy! i can almost taste to mousse right now. 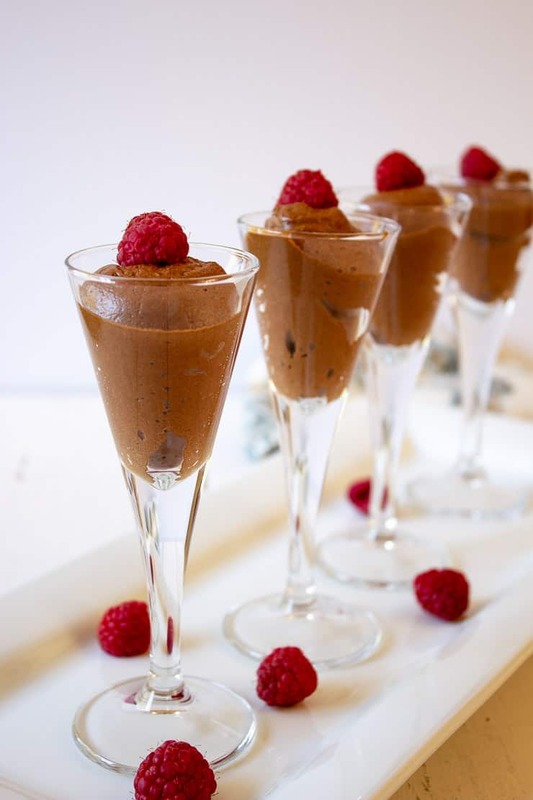 Chocolate mousse is such a divine dessert! And I love how you have piped it in to those gorgeous glasses – such lovely presentation! Yum! You can just see how light and fluffy this mousse is! A sweet treat for a cold Monday sounds just perfect to me! !